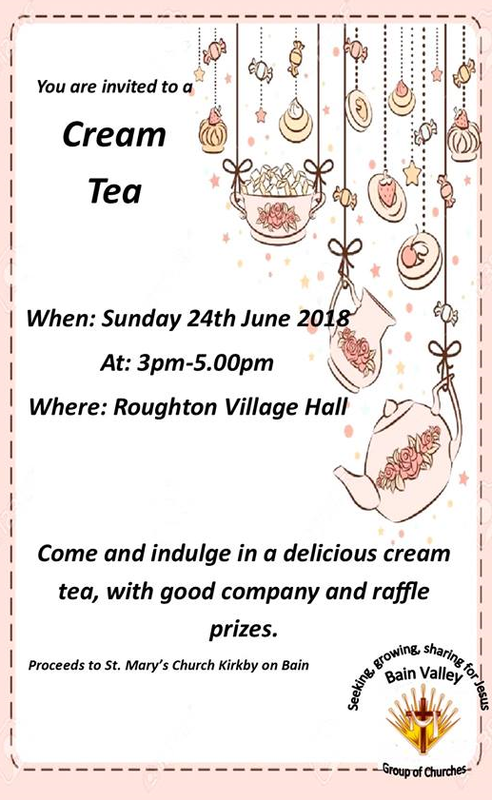 You are invited to a cream tea this Sunday (June 24) at Roughton Village Hall, from 3 to 5pm. Proceeds to St Mary’s Church. Expect delicious traditional refreshment, good company and prizes! This entry was posted in events, News, Things to do, village people and tagged church, community, cream tea, events, fundraising, good company, invitation, prizes, raffle, Roughton, St Mary's by peterdewrance. Bookmark the permalink.